In the early 20th century (we're talking 1910s and 1920s) tobacco companies printed some of their sets on swatches of silk. Thanks to Topps' enthusiasm for re-use of vintage card concepts, silk's finding fashion again, typically packaged in protective plastic. These small scraps of material can last a very long time, even in the wild. Today's post features a non-sport silk from England, just one of many exotic issues tobacco-makers packaged with their products. 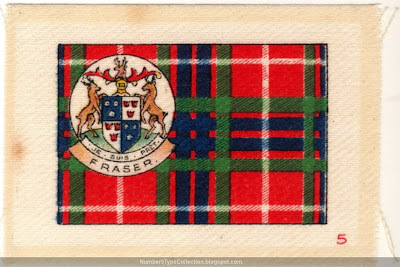 This is the Fraser tartan, a plaid-patterned Scottish symbol of their clan. Wikipedia covers the history of tartans in some detail. Prior to modern times, they represented regional areas in Scotland, somewhat distinct from European heraldry, which followed specific families and political groups. By the time this silk issue came out in 1922, clans had picked "official" designs, so this pattern's unique to Frasers. Tobacco companies put lots of different designs on silk, not just flags. While I focus 99% on baseball, I like that this set uses cloth to represent cloth, so had to pick one up. 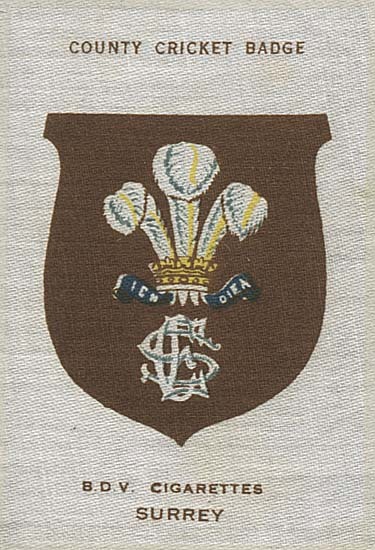 Here's a similar set featuring cricket insignias from the same tobacco company, Godfrey Phillips. 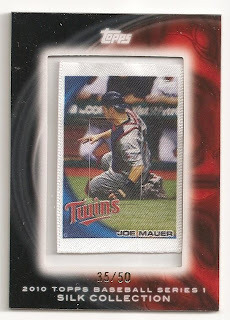 Value: British tobacco cards are plentifully available (via eBay or non-sports dealers) and I bought this for $1. Fakes / reprints: This would be tough to fake, since you'd need blank silk.